Many of us regularly use a laptop computer and, as we like to take our machines with us wherever we go, we need to make sure it is protected. 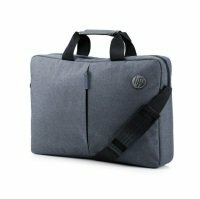 And, with the choice of laptop bags we have here at Ebuyer.com, you can choose exactly the look and style that suits you. We sell everything from messenger-style bags and rucksacks, to briefcases, sleeves and trolleys. 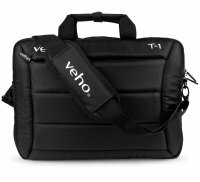 For Laptops up to 14"
Veho T-1 Laptop/Notebooks/Tablet Bag 15.6"
For those who like to cycle or walk to work or college a backpack from a manufacturer such as Targus is ideal. Typically able to accommodate notebooks with up to 15 & 17 inch screens the backpacks feature plenty of pockets, including compartments for media players and other essential kit. They also provide ample cushioning for maximum protection. We have a huge range of classic laptop carry cases to choose from. Suitable for notebooks of all sizes these cases are ideal for taking on the train and for storing your machine. Check out the full selection or look at the cases we have available from manufacturers such as Dicota and HP. For an even lighter way of carrying your notebook take a look at our laptop sleeves. 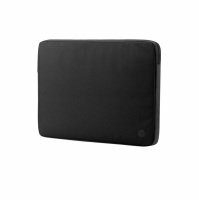 These lightweight cases from brands such as Belkin still provide plenty of protection whilst being very easy to carry. If you're looking for something a little more substantial, then a trolley is what you need. Perfect for travelling, laptop trolleys often have space for both machine and change of clothing. They also have plenty of different compartments for media players and phones etc and often a secure pocket for storing passports and boarding passes. 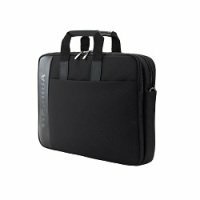 To complement whichever bag you choose we also have a range of laptop accessories including chargers, docking stations and batteries. Choose your new bag from our extensive range and order today for fast delivery throughout the UK.